Choose from many different loans to invest in and diversify your portfolio according to your individual preferences. Your investments are always secured with iuvo's 100% buy-back guarantee policy. This means that you will not lose your money in case the borrower defaults. You can earn an annual return of up to 15% on your investments. 90% of our investors earn more than 8% annually. 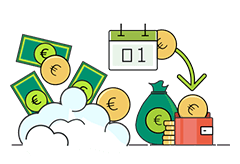 The Auto Invest feature will help you to control and diversify your portfolio, keep your funds fully invested, save time and make investment process more effective. 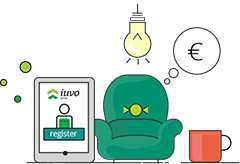 Register with iuvo and explore your investment opportunities. Create your own investor portfolio or use the auto invest feature. 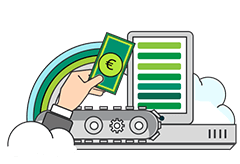 Every day your earnings will be directly transferred to your iuvo account. Grab that life-time opportunity to own > 100 000€ in less than 10 years. since the launch of the platform. That makes us one of the fastest growing marketplaces. for investments on our primary market. 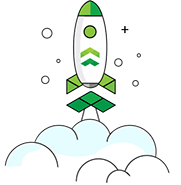 Only fee in iuvo is for selling on secondary market – 1% of the amount.